My inaugural edition of The Shape Shift Report is all about Content. Short hand notes on what was learned when piecing together this issue: As marketing professionals, don’t let your need for gab be a space filler. Never be satisfied with a word count (one of our contributors had his originally-planned 300 word contribution passionately evolve into a 2,000 word essay). Seek out the stuff that would make your grandma’s head turn. If you want to make the world a better and happier place, you can do so - with creative content. Virtual reality videos, gallery installations, and freshly brewed coffee alike can all create a united culture. 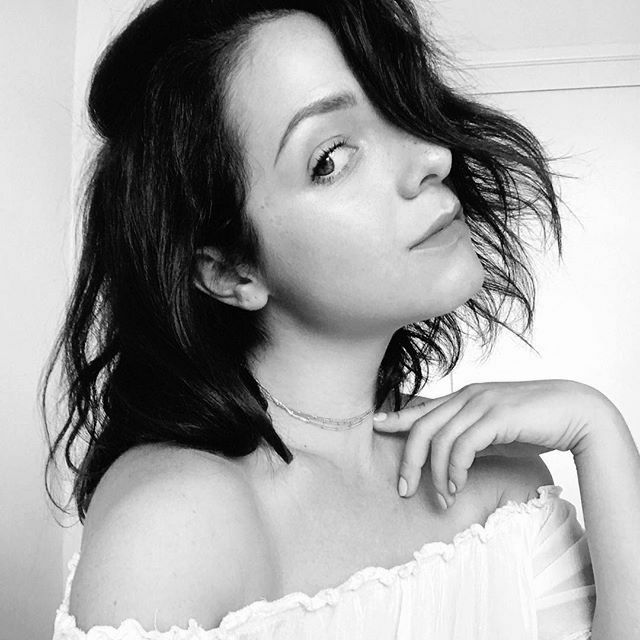 Check out the amazing insights of photographer Arielle Vey, a Forbes 30 under 30 female lead, a VR expert and sleuth, and a gallery curator on how she collaborates with artist's when putting together groundbreaking installations. Here at Matte Black, we look around, hard, for the latest and the brightest to inspire our clients and their brand. When you surround yourself with energy like this… no need for filler... you’ll be surprised by the results. You might notice that this is a particularly colourful version of the SSR. Well, hey, I like color. It grabs attention. Color paints the world and helps convey an array of emotions. There is enough darkness surrounding us. We need a break; an uplifting way to view our surroundings. Here’s to a new, uplifting view. "Don't delay acting on a good idea. Chances are someone else has just thought of it, too. Success comes to the one who acts first." Matt Thompson sheds some light and reflection on the work he's been doing in VR and his thoughts on the future of storytelling. VR will soon be to be more than mere rectangles of light. Virtual Reality has the potential to actually change the world. London Calling: The Now gallery presents fred butler's "harmonics in space"
Seen Lady Gaga's "Telephone" music video? Remember the sharp blue headpiece she wore? That was thought up and executed by Fred Butler: The NOW Gallery's newest artist for feature. Abi Buller speaks to Jemima Burrill, Cultural Consultant for NOW Gallery (London, UK) to find out more about Fred's instalment "Harmonics in Space" and what it means as an installation in the content world. Like the yummy, nostalgic, soothing images you're seeing throughout The Content Issue? It's all credited to Arielle Vey. Hailing from the Pacific Northwest, where her passion was transformed into a career, she began challenging herself further in the creative community. Check out our short + sweet interview with Arielle here. SSR talks with 26-year-old Beatrice Fischel-Bock, cofounder of Hutch: a 3D, online interior design platform that allows users to upload photos of their rooms and virtually redecorate them. We've got the run down on her journey as a young entrepreneur (her company brought in $1 million before she graduated from college), the best wisdom she's ever received, and how she stays on top of the interior content game. When brands are well established in who they are, their customers are more open to trying out new things with them. Naturally, these big brands have the leverage to go out on a limb when it comes to whipping up new content. This listicle features some great brands who we think are branching out in interesting ways and keeping their fans engaged by being uniquely themselves. On this episode of SESSIONS, we explore how brands fuse their products with the cultures and communities around them. Enter Stumptown - the quality coffee roasters who are known for making a mark within the cities they are located. Tune in as we chat with Mallory Pilcher, their marketing events director, about the evolution of the brand and how the team has come to establish brand filters that help them resonate with their communities. "Create something people want to share." File this under things I wish I had as a kid: this Kickstarter funded project combines the fun of blocks with the construction of music. Using small blocks, or 'bops', kids can place each piece onto a board, and be immediately supplied with a musical response, without traditional instruments. Stacking several 'bops' creates chords and musical phrases, so as they become more creative and curious, their musical compositions will become more complex as well. So, if your kid has had a little too much screen time as of late, consider turning them into the next Jonny Greenwood with Soundbops. Happy Year of the Dog! My preferred way to ring in any holiday (especially Chinese New Year), is to spend the entire surrounding month binging on multiple celebratory meals with friends and family. This year, I also got to binge on Ugly Delicious, an amazing new food show on Netflix created by David Chang. 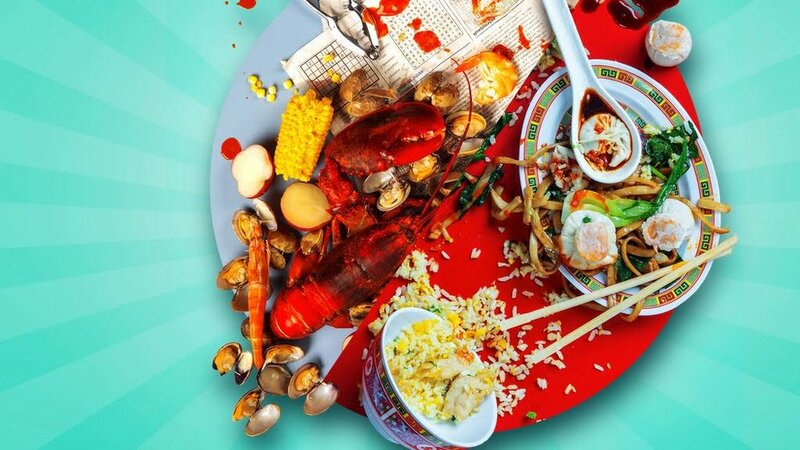 Ugly Delicious is compelling because of the way it uses food as a vehicle for addressing culture and history. As The New Yorker put it, "the show isn’t about what food is, it’s about what it means, and about the choices people make that change its meaning." The show focuses on the conversations surrounding popular food dishes and asks thoughtful questions about their authenticity and origins. The show will also make you super hungry, so gather your group of friends after you finish the series, and head over to David Chang's new LA restaurant Majordomo (and order the Spicy Bo Ssäm). Targét is coming to you, babe. Target is working hard to compete with Amazon and prime shipping. Target officially acquired Shipt, a same-day delivery service that Target hopes will give them major pull in the e-commerce space. As of now the service is only available in Minneapolis. According to Fortune, Target has already set ambitious goals to expand the same-day service to "most" US stores by the end of the year. The company might be onto something... As I think we can all agree that there are few experiences worse than mulling through Target on a Saturday. Sign me up. Arielle Vey is a photographer with a passion for design. She loves painting, getting outside, and every carb on earth. Beatrice Fischel-Bock is the CEO and Co-Founder of Hutch, a platform and mobile app that mixes 3D technology with online shopping to let you virtually decorate your space. Her 2016 TEDx talk focused on how to fail fast, fix fast and learn fast, a mantra that has carried her through the trenches of the startup world. Beatrice has raised a total of $17+ million in funding and was named 2018’s Forbes 30 Under 30 for Retail & E-Commerce. Favorite breakfast food: Almonds. I keep them in my car so that they are always handy on the go! Dream dinner guest: Sheryl Sandberg. She’s an incredible hero to women and the tech community alike. Matt Thompson, 23, is an artist/entrepreneur who has written and directed 3 feature-length films, several award-winning shorts, commercials, virtual reality experiences and has been distinguished nationally for creative endeavors. He is the co-founder and executive producer of independent production company, The Matts Productions. He is the creator, writer and director of a new virtual reality original series called AFTER, and has spoken on storytelling in virtual reality around the world. Jemima is an artist, curator of NOW Gallery and the cultural consultant for Greenwich Peninsula. She makes cultural events to create new spaces and to enhance existing ones. She shows with Galerie Houg, Paris; and her videos have been shown internationally, including at the Museum of Modern Art in Lyon, Perth Institute of Contemporary Art, Arts Santa Monica, Barcelona; Florence Lynch Gallery, New York; Domo Baal, London and at the Pacific Design Centre, LA. Favourite part about living in London: Swimming in Hampstead Ponds –anytime of year, being able to see exhibitions, and having good friends close by. Stress reliever: Cooking colourful food for friends, drinking sidecars, and swimming in 1 degree water.